Invented, patented and developed by us. Appreciated by our customers. A superb discharge device, it overcomes all the typical powder flow problems of bridging, blockages, segregation, flushing and core-flow. It offers automatic and controlled discharge of virtually any powder type, winning where other systems have failed. 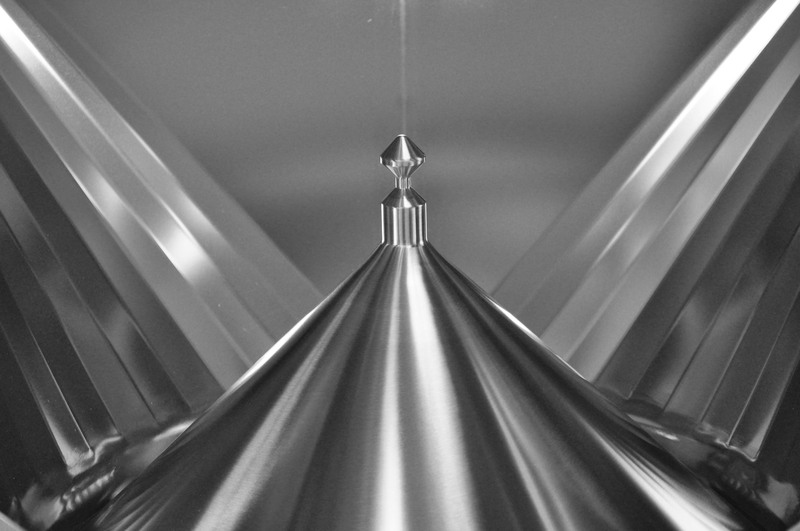 Cohesive materials can be stimulated to flow, by virtue of the integral cone vibration at the top of the lifting cycle. No more ‘bin rash’ & hammers to release powder. On the other hand, very free-flowing powders can be controlled without the need for additional feeders, by using the variable lift height capability of the valve. Achieving and maintaining a homogenous blend is vital in getting the right mix of ingredients in the final pack. Many blended powder recipes suffer from segregation as particles move around during the transfer process. This results in poor product quality or scrapped batches. 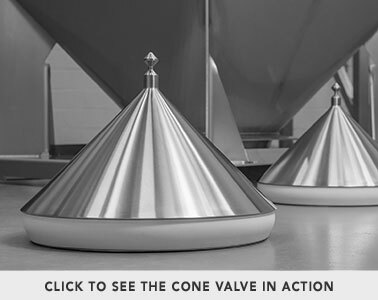 The Matcon Cone Valve protects blends during the discharge process by creating an annular gap at the outlet of the IBC which enables material to move under mass-flow. This means that all the product in the IBC cross-section moves at the same time. There are no dead zones, no particle rolling can occur, hence no segregation. All product has a uniform residence time with first in, first out. All of this means you get a perfectly homogenous mix right to the end of the batch, vital to ensure a top quality product and fully satisfied customers. 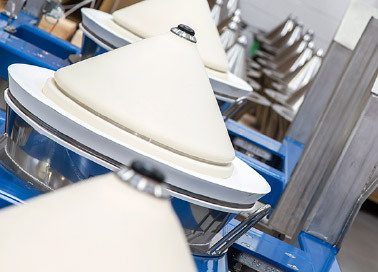 Dust-free handling is achieved because the system remains closed at all times. By virtue of the outer 'lip seal' on the discharge station and the 'alpha-beta' coupling mechanism the Matcon system is closed at all times which helps to contain product and removes the risk of dust hazards. Butterfly and Slide-Valve IBCs cannot close effectively once flow has started. But because the Cone Valve opens & closes vertically it can be shut off at any time to stop flow of product completely. The valve closes under both gravity and the weight of material overhead, in the direction of powder flow. Because of this, dosing straight out of the IBC can be achieved to accurate metered feed volumes for batch dosing. This removes the need for secondary screw feeders which can be cumbersome to clean and hold-up changeovers. Understand more about how to get the best from your powder handling site. We have helped many global companies increase their operational flexibility, so that they are able to move from one production stream to another at a minutes’ notice. We have seen vast improvement gains in efficiency, without the need for more floor-space or inventory.